If you are always looking for the newest products out there, then this one will interest you. Vetro, out of Japan, is a highly pigmented gel that gives your freedom to create any type of design you would like. 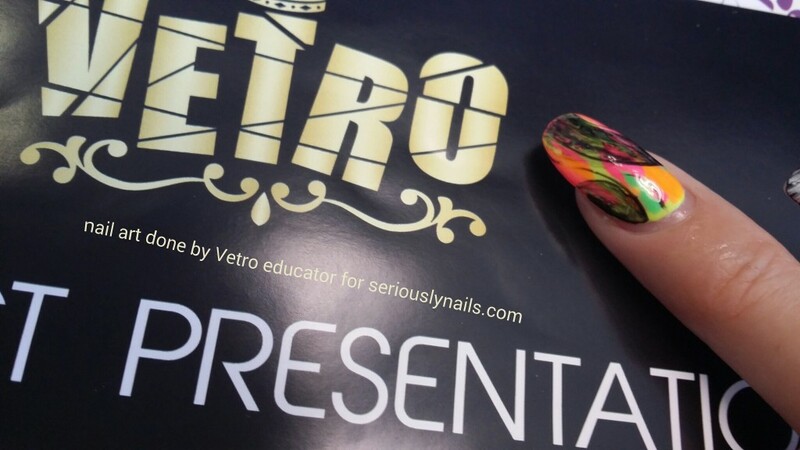 With color ranges that include neons and matte options, Vetro is a nail artists dream. Plus it has a 20 second, yes, 20 second, cure time!!!! 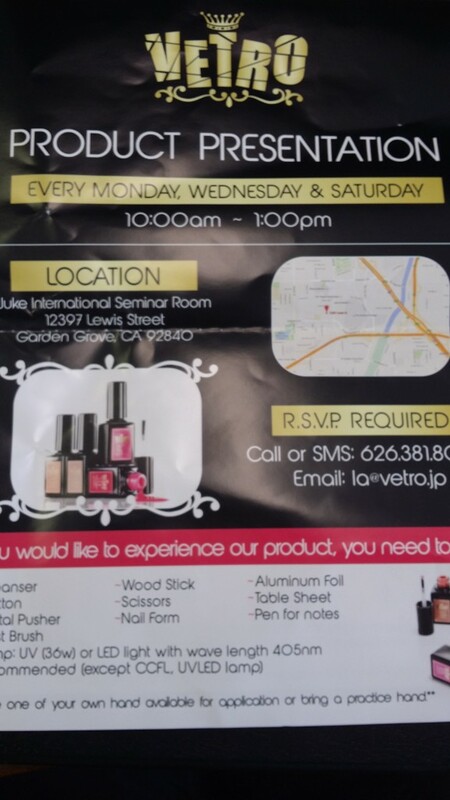 So, when I heard they were giving product presentations in the LA area, I had to share with you. So with minimal requirements on your part, you can take a 3 hour class to learn about this product. The event is held every Monday, Wednesday and Saturday from 10am – 1pm. Here is a great video to get you excited about Vetro and some different techniques!